The glistening Mediterranean Sea is omnipresent at this palace hotel on France’s Cap Ferrat peninsula. The glistening Mediterranean Sea is omnipresent at this hotel on France’s Cap Ferrat peninsula, the turn-of-the-century playground for the royal, rich and famous, which remains an exclusive getaway today. Built in 1904, it blends palace grandeur with the intimacy of a boutique property, plus Art Deco and Neo-Hellenic design details and stunning landscaped gardens by Jean Mus. The expansive deck is nestled in the heart of these aromatic gardens; a tranquil spot for afternoon tea or evening cocktails, while true relaxation is waiting just steps from the main building at the hotel’s private beach. Here, a host of water sports, including parasailing and kayaking, are available to guests, while children are provided with buckets and spades and swimming lessons on request. 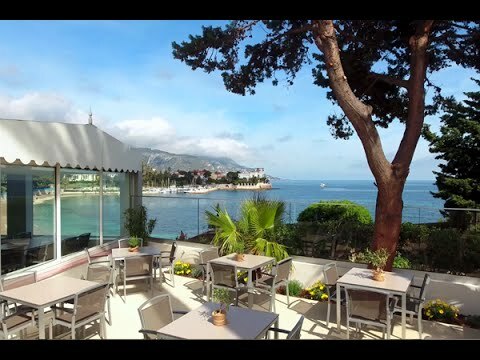 The hotel is set in an exclusive location perched atop the Cap-Ferrat Peninsula and near spots like Beaulieu, Nice and Monaco. Michelin-starred Chef Alain Parodi and Chef Bruno Le Bolch are the celebrated masterminds behind the delicious Mediterranean cuisine at La Table du Royal. From May through September, guests enjoy complimentary private beach access along with a wide array of water sports. 15km/9mi from Nice International Airport (NCE); 10km/6mi from Nice Center/TGV station.